This morning the Red Sox announced they signed outfielder Andres Torres, a free agent this year and yet to play, to a minor league deal. 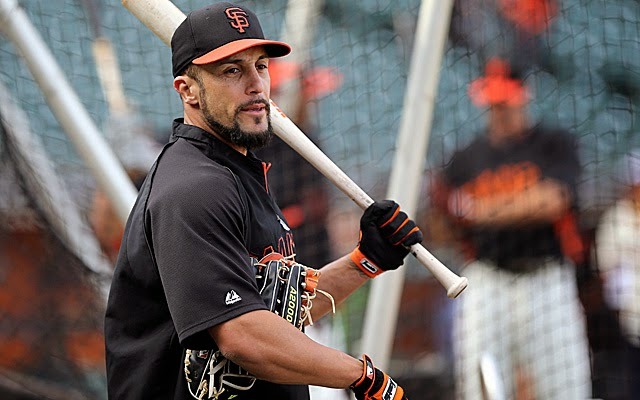 #RedSox announce signing of OF Andres Torres, 36, to minor-league contract. Torres, who became a free agent after the 2013 season, last saw major league action with the San Francisco Giants, posting a .250 batting average and a .302 on-base percentage in 103 games. It is a small step in the direction of bolstering the Red Sox outfield but Torres has not been good for the last three years, compiling a slash of .232/.315/.336 in 1,132 plate appearances split between the Giants and Mets. The 36-year-old hits lefties better than he has righties in his career, so he could find use in an outfield in which Jackie Bradley Jr. and Grady Sizemore have both failed to hit anything at all. As he has not played at all in 2014 he will need to prove he can in the minors before he is brought anywhere near Fenway Park, so he is not expected anytime soon. While the trade markets are pretty thin right now the Red Sox need to do something in the outfield. Red Sox center fielders are hitting .192/.288/.288. Red Sox right fielders are hitting .207/.258/.305. Anything is better than that, right?